The Cofradías in Torrevieja are currently starting preparations for this year's Easter processions during Holy Week. During the Semana Santa processions that take place in Torrevieja, the members of each brotherhood (called "costaleros") carry several "pasos" or floats representing different moments of the passion and death of Jesus Christ. The Holy Week processions in Torrevieja, Costa Blanca and nearby towns such as Orihuela have become a truly magnificent cultural and religious event. This moving and emotional experience is watched by thousands of people every year. 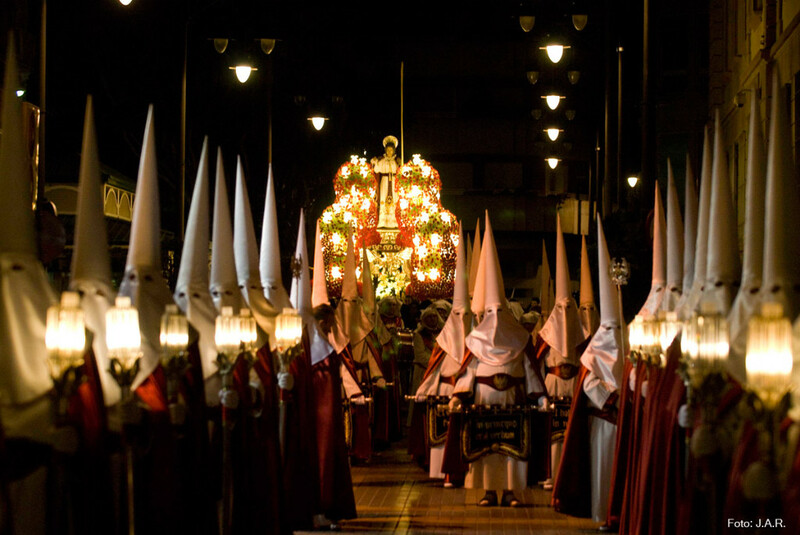 In fact, Easter week is one of the most heartfelt and traditional fiestas in Spain. This commemoration has centuries of history and tradition. The streets of most Spain's cities, towns and villages become the stage for religious fervour and devotion, combining grief and meditation in memory of Christ's death. During the solemn parades, large crowds of people accompany religious images on their route through the streets. On Holy Thursday the procession of Silence takes place, where the pasos are carried through the streets in complete silence as a sign of deep respect. In some of the processions the penitents can be seen carrying spectacular silver thrones.